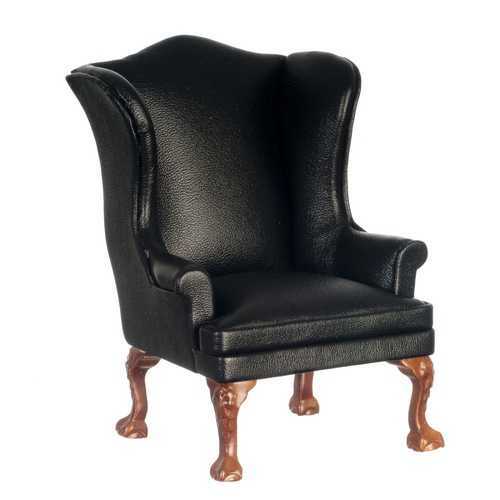 1:12 scale faux black leather wing chair in light walnut finish. Chippendale style legs with carved detailing. From the Platinum Collection.